Welcome to the web site for the 6994th Security Squadron. The 6994th Security Squadron served in Southeast Asia from 1966 thru 1974. This Air Force Squadron was responsible for locating and identifying the enemy using airborne radio direction finding (ARDF) techniques and collecting intelligence information in support of ground combat commanders. As a result of their work, many attacks on friendly forces were mitigated and it has been reported that up to 95% of the B-52 attacks in Vietnam were based in part on information collected by the squadron. This squadron is still the most highly decorated squadron in the history of the current 25th Air Force and all of its predecessor organizations. 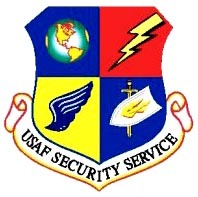 This web site is dedicated to the “back-enders” and all support personnel of the 6994th Security Squadron who served in the Southeast-Asian conflict back in the 1960’s and 1970’s. The purpose of this site is to provide information about the mission and the people of the 6994th Security Squadron who served during the Vietnam War.